Indian sons, and their wives, aren't treating their aged parents well. A study on abuse of India's elderly, conducted across 20 cities and involving over 5,500 older people, has found that almost 1 in 3 (32%) have faced abuse. The son has been found to be the primary abuser in 56% of cases, followed by the daughter-in-law in 23% cases. The study, to be presented to President Pranab Mukherjee on October 1, celebrated globally as the International Day of Older Persons, said more than 50% of those abused had faced it for more than five years. More than half (55%) of those who were abused did not report it to anyone. Around 80% of them did not report the matter to uphold family honour. 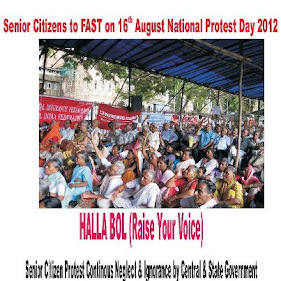 Delhi actually witnessed an exponential increase in abuse of the elderly. In 2011, Delhi's abuse of the elderly rate stood at 12%. In comparison, 29.82% elderly people in Delhi said they faced abuse in 2012. The study, conducted by Help Age India, found that abuse was highest in Madhya Pradesh (77.12%) while people in Rajasthan (1.67%) were most well behaved with the elderly in their family. Nearly 30% or 1 in 3 elderly persons reported abuse in Maharashtra while the abuse rate was just above 1 in 4 (27.56%) in Tamil Nadu. It was 60% in Assam, 52% in UP, 43% in Gujarat, 42.86% in Andhra Pradesh and 40.93% in West Bengal. The study also brought out some shameful figures for Delhi. While nearly 30% of Delhi's senior citizens had faced abuse, the primary perpetrator of abuse was the son in 60% cases, followed by the daughter-in-law in 24% cases. In Delhi, 76% of those abused did not report it, while of those who felt abused, 69% had felt disrespected with 35% facing it daily. Around 86% of elderly felt that the most effective measure to control elder abuse was through sensitizing children and strengthening inter-generation bonding and 14% felt increased economic Independence was the solution. The study said that in India, the family has been the mainstay of social support. 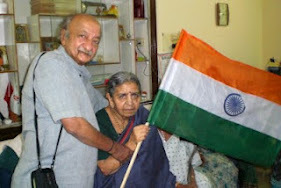 "Even in this age and time, 58% of older persons in India are living with the family. The findings of this report also affirm confidence in the ability of the family to care for its older members," the report said. The National Policy on Older Persons has also recognized the importance of family for the wellbeing of older persons and has decided to have programmes to promote family values, sensitize the young on the necessity and desirability of inter-generational bonding and continuity and the desirability of meeting filial obligations. "State policies will encourage children to co-reside with their parents by providing tax relief, allowing rebates for medical expenses and giving preference in the allotment of houses. The policy also says that short-term staying facilities for older persons will be supported so that families can get some relief when they go out," the study said. The report made an interesting recommendation. In order to prevent elder abuse, it said there should be nationwide programmes in schools and colleges for sensitizing children and young adults towards the ageing and the aged, sensitization of healthcare workers to recognize and develop a protocol for treatment, develop a robust social security system that not only ensures income security to the older persons but also gives them opportunities for income generation.